We are confident that we can complete your pool house wiring project in Tampa, FL quickly and with precision. Your pool house is a feature that makes your outdoor living space that much more enjoyable. However, if your pool house isn’t wired for electricity yet, you may feel like you’re not getting as much out of it as you should. To remedy this issue, our team at 5 Star Electrical LLC is here to help with our pool house wiring services in Tampa, Florida. Regardless of how extensive your pool house wiring project is, it’s important to work with an electrician who knows what they’re doing. Otherwise, the wiring in your pool house might be faulty or pose a safety hazard to anyone who uses it. You can rest easy knowing that we know what we’re doing when you turn to us because we have been doing wiring work since we started our operations back in 2010. Plus, our owner and founder, Shawn Formont, has extensive experience working on wiring projects. If you’re tempted to do the pool house wiring by yourself, we urge you to reconsider. Our professionals will not only ensure that the wiring in your pool house is done right the first time, but we’ll also make sure things go exactly as planned. 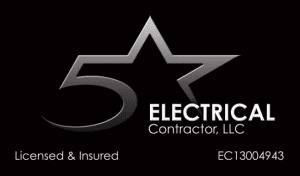 The next time you walk into your pool house and wish it was wired for electricity, contact us at 5 Star Electrical LLC for help. Thanks to our experience, attention to detail, and commitment to quality workmanship, we are confident that we can complete your pool house wiring project quickly and with precision.